A movie replete with former B and C-list stars that are all well past their prime, in an art house, sure to be box office bomb. 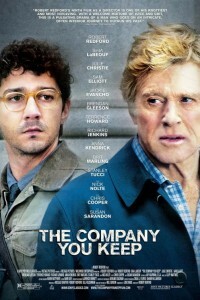 Has been Shia Labeouf has crawled out from under a rock to star in this limited release from director Robert Redford. Didn’t Robert Redford learn from that other espionage thriller that bombed, Sneakers, to stay away from this like this? "The Kingdom. " When a terrorist bomb detonates inside a Western housing compound in Riyadh, Saudi Arabia, an international incident is ignited. In the movie A Walk In The Woods, after spending two decades in England, Bill Bryson returns to the U. S.